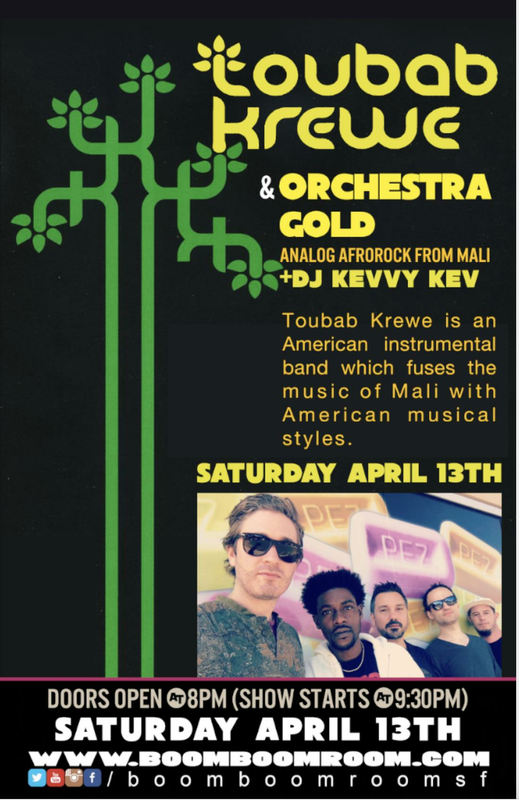 Fronted by the charismatic Malian singer and dancer Mariam Diakité, Orchestra Gold (OG) plays an original stew of African – inspired rock and soul music. Drawing deeply on Mali’s musical history, OG blends analog, rhythmic dance music together with elements of psychedelic soul. With roots Malian drumming and the deep wisdom of Mariam’s vocals, OG moves audiences from the inside out.